Powertraveller designs, develops and manufactures an award winning range of portable power and solar chargers for electronic devices. Designed in the UK and tested to destruction in some of the world’s most inhospitable environments, the products in Powertraveller’s range are capable of charging anything from cell phones (including iPhone and BlackBerry) and iPods through to Sat Navs, GPS systems, iPads and laptops. The #Joburg2Kili Team will be using Power Traveller solar rechargers and power banks to stay powered up during the expedition. 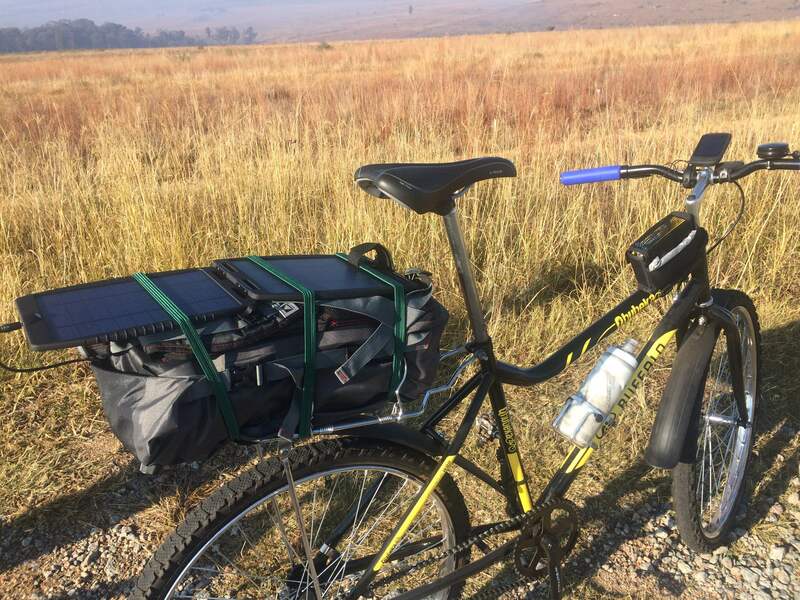 Throughout the Joburg2Kili Expedition we’re going to rely heavily on our PowerTraveller SolarGorilla solar charger and MiniGorilla power bank. The solar power captured on the Mini Gorilla will be used to charge up our navigation and communication devices each evening. Because of how critical these devices are to us we could never think of compromising and using an brand other than Power Traveller.